Family Facts: I have five brothers. We grew up exploring anything we could and still like to take adventure trips. Favorite Country: That’s tough. Probably Ecuador because of the people. Me in 12 Words or Less: Quiet, logical adventurer who passes as a geek. I am currently a student pursuing my bachelors and attempting to double major Theological Languages and Computer Science. I also intern as a Software Engineer. My heart is for ministry. I love working with STEP Advanced during the summer and pointing young woman to Christ. When I am at school, work, or STEP, I enjoy photography, outdoor adventures (hiking, climbing, scuba diving, etc. ), computer programming, reading, and traveling. God told us to take the Gospel message “to the ends of the earth.” When you obey that command, you see God work in incredible and seemingly impossible ways. 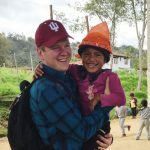 International missions also provides the opportunity to experience other cultures, be encouraged by Christian brothers and sisters from other backgrounds, and grow personally. It puts our lives in perspective within the bigger picture of what God is doing in the world and how blessed we are in America. 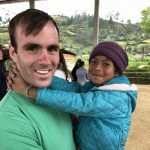 Through international missions, my own view on all the little things that I took for granted–hot water, running water for that matter, a comfortable bed, screens on my window–changed. God also taught me to love others more deeply and personally. The trips I have gone on changed my life. My international brothers and sisters in Christ have encouraged my faith and challenged me in many ways. I firmly believe every young person should spend time doing missions work and serving God. It makes God real to you.